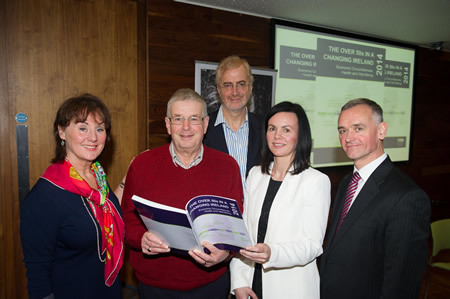 On January 29th 2014, TILDA published its second key findings report, titled 'The Over 50s in a Changing Ireland: Economic Circumstances, Health and Well-Being'. The report uses data from the second wave of TILDA data collection, which lasted from April 2012 to January 2013, to examine how the lives of the over 50s in Ireland have changed since the first wave of data collection in 2010. This was a period of considerable social and economic change in Ireland, dominated by the severe financial and economic crisis. Key findings demonstrate serious health challenges faced by older adults in Ireland such as obesity, cardiovascular disease, arthritis and problematic drinking. The over 50s however report a high quality of life, smoking prevalence has declined and incomes have remained stable. These findings will inform health and social policy and practice in Ireland with long-term benefit for our ageing society. 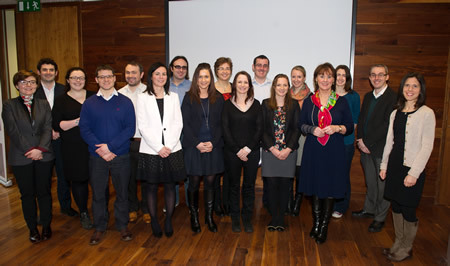 The report was officially launched on Wednesday 29th January 2014.